Rates and Specials are based on cash payment on arrival. Add 13.625 % NJ sales tax. 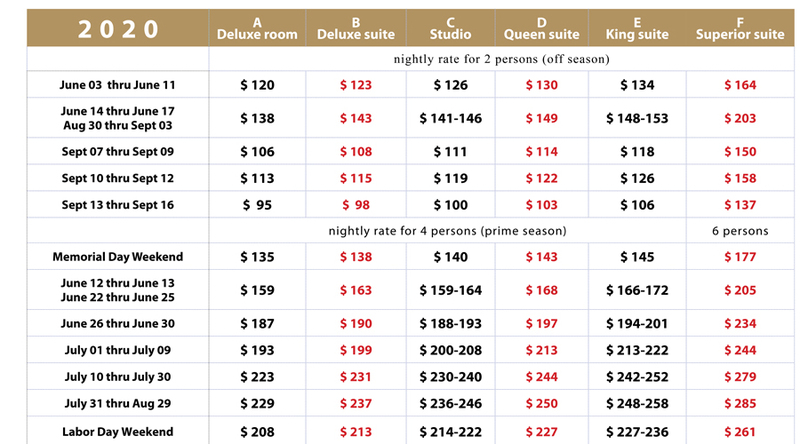 Daily rates (based on three nights minimum stay) and Summer Specials apply to advance reservations made and deposit received before May 1st and are subject to change without notice. Extra person: Prime season (June 20 thru Sept 2) $20, off season: $15. Please call to confirm availability before mailing in your deposit.